Wednesday Search Challenge (4/30/14): Horses! This is a bit of a busy week for me as I'm at the Computer-Human Interaction (CHI) Conference this week, listening to talks about user interface design, the psychology of how people decide to use (or not use) computer interfaces, etc etc. In some ways it's my "home field" conference, the one I've been attending for many years. It's where many of my professional publications are, and certainly where most of my professional friends are. So it's a kind of blend of science, craftwork, and the occasional party with people I rarely get to see. BUT that's not the challenge for this week. Instead, as I was flying to the conference, I went cross-country and as I flew over hill and dale, for some odd reason I kept seeing horse racing venues. They're surprisingly common (especially in more rural areas where you can easily spot many oval courses scattered around in the farmlands). 1. What was the price of a horse in 1918 in the United States? In particular, can you find an advertisement in a newspaper printed in 1918 for a horse that would measure 2 meters high? How much would such a horse cost? 3. What's the horse breed with a kind of gait that's particular to only that breed? This last noe surprised me when I found this out. I had just assumed that all horses would walk / run / canter / gallop (etc.) in the same way. It's a little like finding out that people born in Rhode Island have a different way of running than everyone else! When you find the answer, let us know HOW you found it. Answer: What's the date of this globe? I'm impressed with all of the energy and good thinking that went into solving this Challenge. As often happens, *I* learned something along the way as well. Good job, Researchers! 1. What year was this globe made? Just how will we figure out the age of the globe? First off, I scanned the globe images carefully, looking for a date, or an edition number, or anything that would be an authoritative mark from the manufacturer. But I (I and Jon agrees) couldn't find anything. There's a "Copyright Rand-McNally" in the cartouche (the legend of a globe), but no date. So I figured I'd have to start looking up countries that were shown on the globe (or not shown) as a way of figuring out what the possible range was. The first thing I noticed was that Vietnam was showing up as both North and South Vietnam. I knew off the top of my head that Vietnam's unification happened in 1976, but I needed to be more precise. I needed a master list of countries--when founded, and when they disappeared from the world stage. This took to me a few different pages, each with a list of countries and their establishment and dis-establishment dates. I then had to line up dates that would cause countries to appear, disappear, or change in territorial status. 1976 - North and South Vietnam unified to become "Vietnam"
1970 - "Muscat and Oman" changed name to just "Oman"
"Muscat and Oman" is on the map. We must go deeper. Looking at "Muscat and Oman," I noticed "South Arabia"
told me that "The Protectorate of South Arabia" existed as an independent country only from 1962-1967, after which it became Yemen. This is great, as it limits our searches quite a bit. 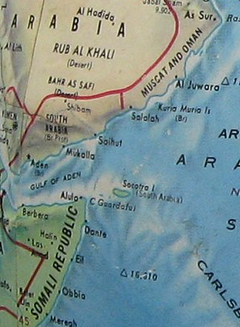 Since South Arabia was dissolved in November of 1967, the map on the globe must have been made before the end of 1967. Right below South Arabia is the "Somali Republic." Another search tells me that this country existed only between 1960 - 1969. This is consistent with what we already learned. And Socotra Island became Yememese in 1967. I kept working in this vein, just checking to make sure all of the country labels are consistent, working upward from 1962. 1963 - Kenya created. It's on the globe as Kenya. 1964 - Nyasaland dissolved, becomes Malawi. Malawi is on the globe as well. 1967 - Dominica becomes a British protectorate. It's labeled as such on the globe. 1967 - French Somaliland becomes the French Territory of the Afars and the Issas. (Which then, in 1977, becomes Djibouti.) For this globe, on the coast near Ethiopia and Somali Republic you'll find a tiny country labeled "FR SOM"--or French Somaliland. 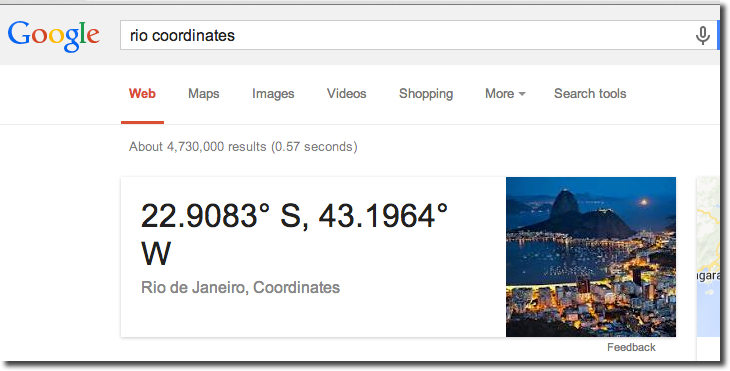 Since the name was changed around the end of 1967, this is a great date to use for finding map time boundaries. 1968 - Equatorial Guinea, Mauritius, and Swaziland all become independent. HOWEVER Swaziland and Mauritius are still marked as British, but Equatorial Guinea is shown as independent. 1969 - St. Vincent and the Grenadines become independent, but the globe shows them as British. This also suggests that the globe is probably pre-1969. This pins it down pretty well to 1967, with a little room for error. The uncertainties in dating (e.g., Swaziland being marked as British) probably stem from the globe production cycle, and concerns over disputed territories. Who knew if they'd stick around for another couple of years. This is great for globe makers (countries change--everyone needs a new globe! 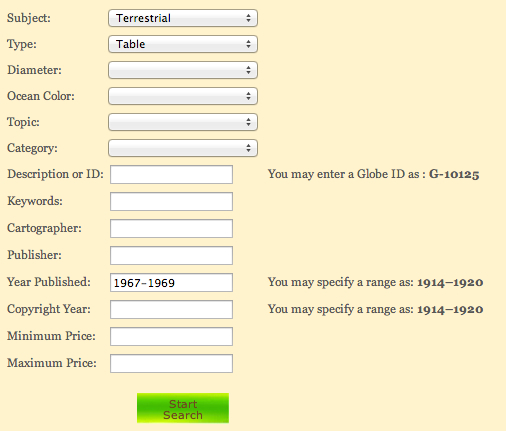 ), but they also would like to put out globes that are accurate for a while, hence the hedging. The side-effect of all these country names makes relying just on country name changes a bit problematic. It'll get us within a year or two. So we really need a second source on this. 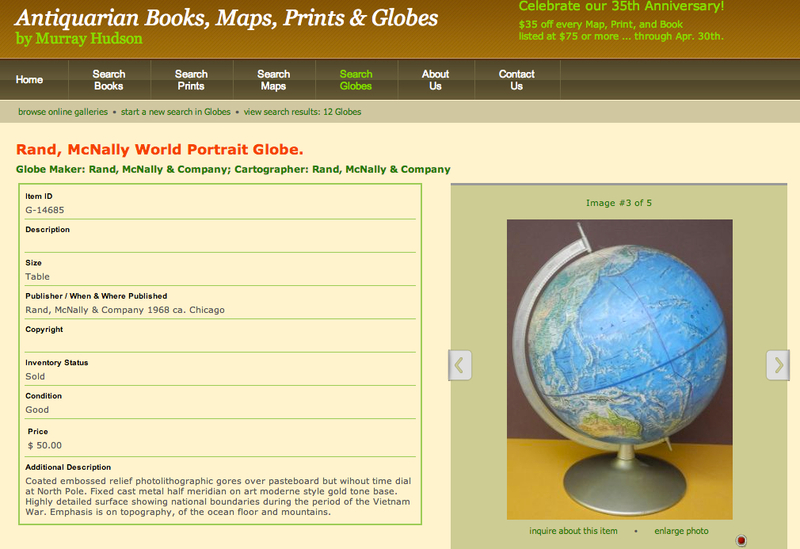 I found (like a few other readers) that there are sites dedicated to putting dates to globes. https://www.antiquemapsandglobes.com/ - run by Murray Hudson offers a nice search tool to (guess what!) search for globes. Here's their search interface with what I entered for search terms. 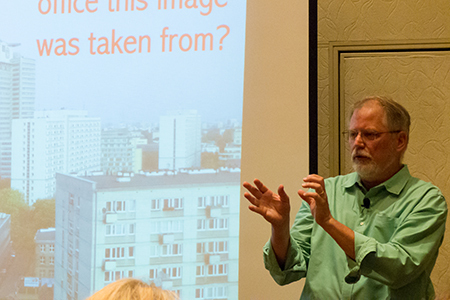 David Mackinder's method: David did an smart thing and looked for map and globe search tools. That's a great move. He found the Biblioserver Newberry search tool. Using that he treated the code on the fourth picture as if it was a book's ISBN, and entered 'A-110000-751 -2-2-5.4' into search field, to find a hit in their index. That's a great trick, but reading the entry carefully, it says that it is: "Dated 'c.1964' in manuscript on attached tag." That c. means "circa," which is just another way of saying "I'm not really sure, but approximately this time." I guess 1964 is c. 1968! 1. Communities exist--take advantage of them. I honestly didn't expect there to be such an active and vibrant community of people who deeply care about older globes. But there it is. Lesson for us all, as my friend Leigh Klotz said "This is the Internet. There's a group of people interested in every possible topic." What's more, they write about their topic of interest. Remember this when doing research on obscure topics. There are always people who know more than you do. 2. Second source everything. The method of looking for country-name-changes is pretty good, but it's not super precise, and got us only within a year or two. By using the names + dates on the globe, and then looking for other sources, we were able to find exactly the globe's publication date. Thanks to everyone for all of their wonderful searches. The SRS community is full of fun, interesting people that makes writing these challenges a joy. Keep it up! April 27, 2014 - Made a few edits to fix up typos. As Remmij points out in the comments, I switched around a few of the dates. Today I fixed that up, making the dates consistent with the prose. And I added the text about French Somaliland. Folks -- I can't quite get to writing up the answer to Wednesday's Global Challenge... I'm really busy today (giving talks at Rutgers and Stevens Institute). If you're free, consider dropping by! I promise I'll write up the answer tomorrow! Wednesday Search Challenge (4/23/14): What's the date of this globe? THIS is a busier week than usual. I'm teaching five classes this week, including a new class on how to search for, find, and use historical primary source materials. That was great fun, and I'll write about it soon. I promise. So it was with great happiness that SRS Regular Reader Jon (the Unknown) wrote in with a superb Search Challenge for this week. "My 9 year-old granddaughter wanted a globe for her birthday. I had one kicking around for years that was old when I was given it. Naturally, I wanted to know when it was made. It seems globe makers are notorious for not dating the things, so that users will always think they have the latest and greatest." Jon sent in some photos of the globe to see if we could figure it out. Today's question is straightforward (but perhaps not so simple). It's a great challenge, though. You'd think that the globe's legend would tell you, but no. However... All the information you need is right here. It's just a matter of figuring out how to use the information in the pictures to determine when could have been produced. When you figure it out, be sure to tell us HOW you figured it. We're all interested in learning from your research process! What was the line of reasoning you used to determine the date here. Answer: What was the major news story? As mentioned, this wasn't an especially easy or simple Challenge. Here are the questions, and my solution. 2. In that same year, what was the biggest audio technology story? 3. Again, in that same year, what was the biggest story (same basis as before) about events going on in Germany? Let's break this first question down. 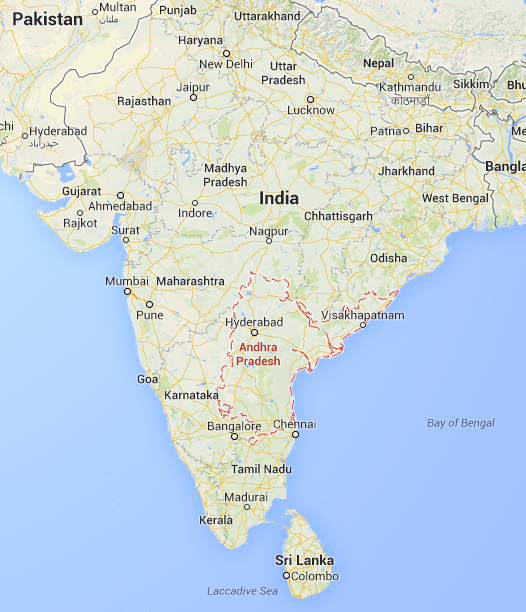 What and Where is Andhra Pradesh? If you do the obvious search, you'll quickly learn that Andhra Pradesh (AP) was formed in 1956 by the annexation of the country of Hyderabad with the Indian Union. AP is now composed of the regions of the small enclave of Yanam, along with the smaller coastal regions of Coastal Andhra, Telangana and Rayalaseema. The city of Hyderabad (formerly the capital of Hyderabad, the country) is now the capital of AP. So finding the "biggest news story" that happened in a particular part of AP means checking news stories in AP since 1956 AND checking news stories about Hyderabad, Coastal Andhra, Telangana, and Rayalaseema as well. Now... How can we check for "biggest news story" about a particular topic over the past 100 years? It's pretty clear that (a) we need an archive of news stories, and (b) we need some way to count the frequency of news stories on a topic over a given time period. Think about it this way: What would be the ideal tool to answer a question like this? When I thought about it, I realized that what I'd like is some way to create a histogram of the "number of news stories over the past century on a given topic." Make sense? How are we going to find that? I remembered that once upon a time, Google News had this capability, but it's long gone. There are various APIs to let one write code to access archival content (such as the NYTimes Article Search API, but that archive only goes back to 1981). There are a number of newspaper archives out there, and the first one I checked, Newspapers.com, just happened to show a histogram feature to indicate the number of hits on a topic over the past century. This is exactly what we need to answer this question. Here, I've done the obvious query about AP. 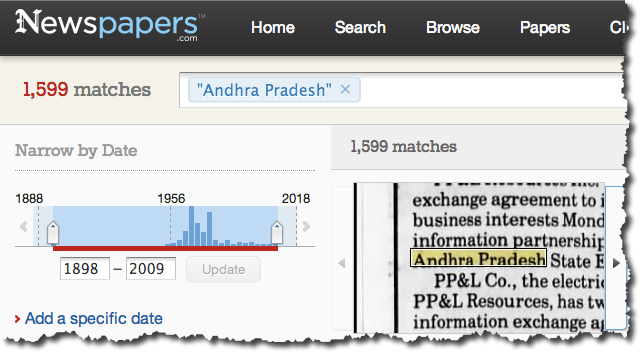 And it's easy to see that Andhra Pradesh didn't register at all before it was founded in 1956. Notice that the UI shows the number of hits in red above the histogram. etc.) it didn't take me more than a minute to discover that the major event in the region of AP was the annexation of the state of Hyderabad by India. That event, called "Operation Polo" (September, 1948) was the takeover of the princely state of Hyderabad and its incorporation into the union. 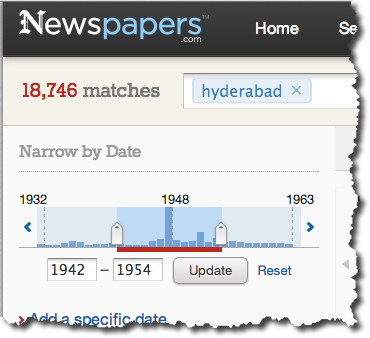 By clicking through to the news articles, it was clear that this was generating a LOT of news coverage, as you can see by searching just for Hyderabad, and zooming in on 1948. Now we have the answer: The biggest news story in the AP region was the annexation of Hyderabad into India with at least 18,746 stories Even the creation of Andhra Pradesh state in 1956 itself didn't generate quite as many news stories (at least 1000 fewer). will bring up a large number of "What Happened in the Year 1948?" sites. Scanning through several of them, you'll quickly discover that they agree: the 33&1/3rd LP (long-play) record format was announced in 1948 by Columbia Records. Reading through some of that content revealed that this was a major advance over the previous formats (78 rpm records) with a much longer play time (20 minutes / side) and an improved signal/noise ratio. Doing the same kind of search for Germany in the "Top Stories of 1948" shows that, from the English language perspective, the Berlin Blockade and the subsequent Berlin Airlift to provide essentials to the city during the blockade by the Soviet Union. Airplanes and crews from the United States Air Force, British Royal Air Force, Royal Canadian Air Force, Royal Australian Air Force, Royal New Zealand Air Force, and the South African Air Force flew over 200,000 flights in one year, delivering up to 4700 tons of necessities each day to the beleaguered city. This story dominated headlines and coverage for much of the year. Search Lessons: In this case, the hard part was figuring out HOW to measure "biggest news coverage." In my case, I wasn't sure how to do this, but I started with what I already knew--to wit, that there were news archives. By doing a bit of exploring there, I found that at least one of them (Newspapers.com) offered exactly the tool I needed--the histogram of hits by year. Lesson: Even when you don't think you know how to solve the problem, at least go visit the content--you never know what will turn up. Also remember that there are LOTS of people with deep interests in history out there on the web. Although the quality of web content sometimes varies quite a bit, they DO provide useful aggregations of information... including "top stories" by year. When in doubt, consider searching for those aggregations and visit several of them, looking for agreement (repetitions) about what were the top stories in any given time period. As several readers have pointed out, the question really boils down to "how can I figure out what news stories were popular over the past 100 years?" 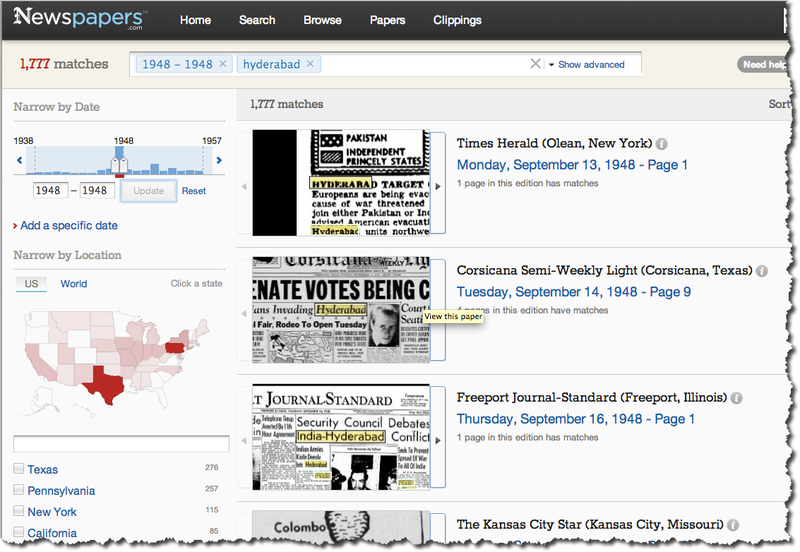 Here's a hint: Can you find a tool or dataset or some mechanism that will let you see that kind of overall popularity? Find that, and you'll have the answer quickly. Search on... for the right tool! Wednesday Search Challenge (4/16/14): What was the major news story? It's fairly large, with a population of 84M people, making it the 5th largest state of India. In other words, it's 2.2 times larger than the population of California in just more than half of California's area. Andhra Pradesh, like California, is the "rice bowl of India," providing a large fraction of southeast Asia's rice supply. It's been important historically, and given its size (the population of this one Indian state is roughly the same as the entire US population of all states west of Kansas), you'd think we'd know more about it. My visit made me start to wonder--what HAS happened, historically, in this region? Sure, there's been a lot of history, but how would I find out more about what role Andhra Pradesh has played in world news? This isn't necessarily the simplest challenge. (First question: How do you measure "coverage in the English language press?) But I think you'll find it interesting, and I assure you, you'll learn interesting things along the way. and you'll get back the Lat/Long for the location of interest. Here are a few examples. Answer: What kind of bird is that? Credit: Bill Walker. Link to his site. Let's dive right into the question. These birds are visiting... but help me out with understanding what these fine birds are! 2. In his masterwork on the illustrations of American birds, the great artist and ornithologist John James Audubon gave this bird a common name that is no longer used. What is the common name that he used for this bird? What kind of birds? The classic way to answer this question is with a bird identification key or some kind of bird identification book. I have the classic Roger Tory Peterson ("Field Guide to Western Birds") Amazon link. Google Books link. The way guide books work is to work your way down a decision tree by answering questions and turning to the next entry in the tree. "Is it passerine bird?" -- but the Peterson method is to first jump into a category of bird ("Owls & Nightjars" or "Hummingbirds" or "Shrikes and Vireos") and then answer a few questions, but mostly looking at the color images. 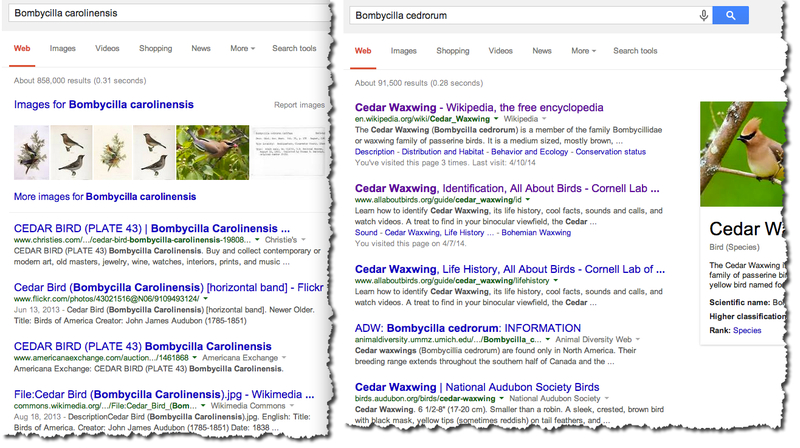 Of course, you need to be able to tell your Tanagers apart from your Towhees, so it assumes a bit of learning up front. If we don't know anything about this bird to begin with, how would you start? Would you recognize that the appropriate chapter is labeled "Waxwings, Phainopepla, and Starlings"? Probably not. The thing about bird identification (or plant, or insect, or most biologicals) is that you have to check the details carefully. This is where the Peterson guide is useful (see the section on Waxwings in either of the above links). It includes helpful tips to discriminate between similar birds. In this case, the Bohemian Waxwing is the bird that's most like the Cedar Waxwing. 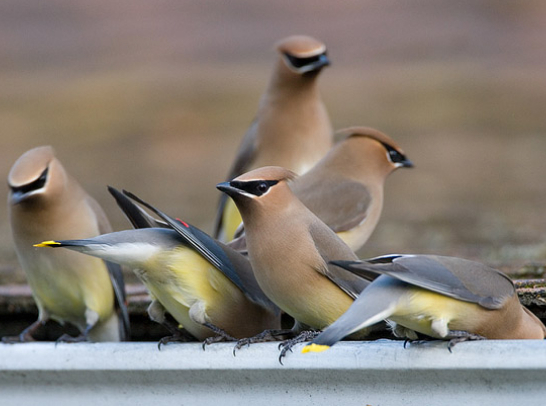 Peterson's book points out that the Cedar Waxwing has yellow on the belly, while the Bohemian does not. The Cedar has yellow band at the tip of the tail, while the Bohemian does not. Common name of this bird used by Audubon? The question itself suggests that there might be more than one name. That's true for many animals and plants. Not only are their local variations, but the common names change over time. It's ALSO worth noting that the scientists will change the names as well. and I looked in Images to see what he might have written as a description of the bird along side the drawing. When you're doing your searches, note such differences, because older work might well have THOSE terms used instead. Where's the closest copy? 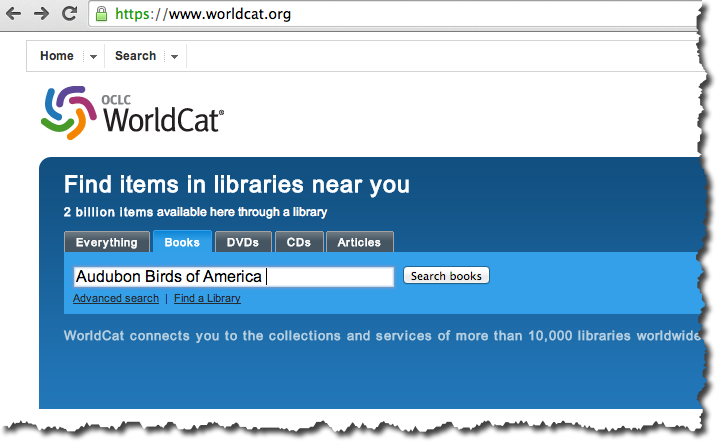 Whenever you're looking for a book (or music manuscript, or film, or ... any kind of library-like object), the WorldCat system run by OCLC is your friend. will find you the entry. Now, what's the book we're looking for? A query for Audubon will quickly lead you to the Wikipedia entry (and many others) that will all concur: Audubon's master work was his giant ("elephant folio") edition of his collected drawings, "Birds of America." Of course, you want to click through the entry to make sure it's an original copy (remember that I wasn't looking for facsimiles, but the original publication). Fun facts picked up along the way: As Regular Reader Hans (and others) pointed out, Cedar Waxwings are notorious for gorging themselves on berries, and then either getting too drunk (on the fermented berries) to fly, OR basically choking themselves to death via gluttony. When I was reading some of the writing of Audubon about Cedar Waxwings I was surprised to learn that they are "so tender and juicy as to be sought by every epicure for the table." He wrote that he knew of instances of a basket full of these little birds had been forwarded to New Orleans by a hunter as a Christmas present. They never arrived. "I afterwards discovered that the steward of the steamer, in which they were shipped, made pies of them for the benefit of the passengers." I also learned that Audubon was born as Jean-Jacques Audubon in Les Cayes in the French colony of Saint-Domingue (now Haiti). He moved to France at young age. Search Lessons: While there are often many ways to learn the identity of a bird, the simplest way is often the best.... but with careful checking to make sure the details line up. Note that birds (plants, animals, people, countries) often change their names over time. Audubon's "Cedar Bird" quickly changed to "Cedar Waxwing" when was grouped with other waxwings in North America. As always, it's good to use multiple sources to validate your identification. Turning to well-known sources (e.g., the Peterson guides) is a great way to also pick up the identification tricks you need to be good at this. Finally, remember that sometimes specialist external resources (OCLC's WorldCat index across thousands of libraries) can help you find exactly the object you need. 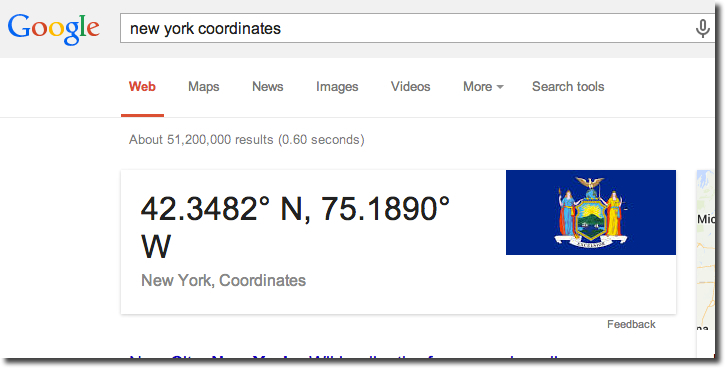 Google doesn't have this information, but this is precisely what WorldCat does best. And many thanks to Bill Walker for the use of his marvelous picture of the Cedar Waxwings. Wednesday Search Challenge (4/9/14): What kind of bird is that? It's spring in Palo Alto, finally, after a long delayed arrival of the rains. The start of the year has started late, so everything is a bit delayed. The flowers are slow in arriving, and look to be a bit shorter and a bit fewer this year. But just recently one of my favorite springtime events took place to set everything aright. I stepped outside and heard a very high pitched, slight, piping sound coming from a large number of birds. I have a large bush that's full of berries, and in the bush I saw lots of movement. A flock of my favorite birds had returned to have a breakfast en masse. They seem to sweep through twice a year, once in spring, and once in the fall, as they migrate from place to place, always pausing where there's food. I tried taking a picture, but my lens wasn't long enough and they're pretty fast. Luckily, my good friend (and superb photographer) Bill Walker was able to take this wonderful photo. These truly are my favorite birds, although some farmers might think otherwise. There's something about their sleek appearance and very social behavior that make them seem especially interesting. Although I know what kind of bird this is, I thought on the occasion of their annual migration, they would make for an curious Search Challenge. Let us know how you found the answers. I'll tell you what I know on Friday. Thanks to everyone who solved this Challenge. It wasn't that hard, but it's good to mix things up every so often. I promise that next week will be a bit more... challenging! 1. What's the connection between "sea fencibles" and the US National Anthem? which led to the obvious Wikipedia page about the Sea Fencibles. There I learned that the "Fencibles" began with in the United Kingdom as an "organized sea defence by local fisherman to prevent invasion." That is, a kind of locals irregular coast guard. The idea was carried over to the US and became a more-or-less official unit of the military. There I also learned that during the War of 1812 there were sea fencibles set up in Baltimore. "At Baltimore, two companies were raised under the command of Captains Matthew S. Bunbury and William H. Addison." They were attached to the War Department. As Jon, the Unknown, pointed out: The word “fencibles” were defined as corps raised for limited service, exercised in the use of musketry and sea-board defense fixed fortifications and the maneuvering of gunboats. Though seamen in general they were under the U.S. War Department and issued muskets and accoutrements. However, they (except for the officers who wore the standard U.S. Infantry uniform) wore no standard uniform, only the clothing of their trade. This reminded me of when I wrote the note: Clearly I was in Baltimore, and the last time I was there I visited Fort McHenry. That's a big clue. At this point, I understood the connection. 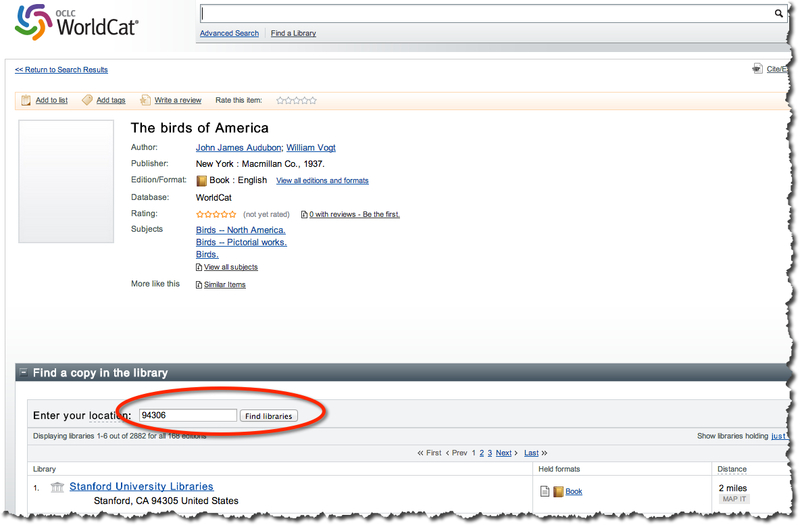 in Web Search and in Google Books. In this query, Ramón is using the AROUND operator to look for "fencibles" within 3 words of "USA National Anthem" -- a good idea. There are many hits here, all of which point out the same thing. As pointed out in the post, MARYLAND IN THE WAR OF 1812 "On September 13-14, 1814, in the third year of the War of 1812, this 34 year old Virginia born artillery officer ordered an American flag raised over the ramparts of Fort McHenry in Baltimore harbor following a 25-hour British naval bombardment. The flag itself inspired a Maryland lawyer to write a song that would become the U.S. national anthem on March 3, 1931." 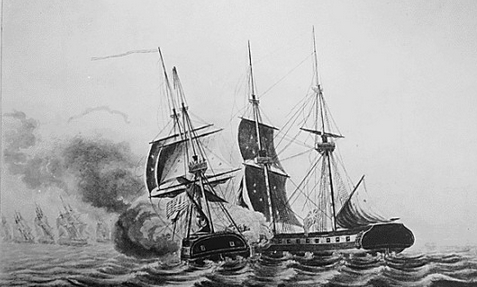 The British attacked the Baltimore port which was defended by Fort McHenry. At the fort, as part of the local defenses, were the Sea Fencibles. During the attack, Francis Scott Key wrote a poem beginning with “Oh, say can you see by the dawn's early light.."
And then, ...in 1931, Congress made the "Star-SpangledBanner" the national anthem of the United States. An excellent history of the flag, the battle, and the song can all be found at the Smithsonian Institution's web site. Since they actually HAVE the flag (and getting history right is their job), I trust their version of the story. Regular Readers might remember that we visited the National Anthem topic before when we discussed the connection between the phrase, “The Myrtle of Venus with Bacchus's Vine” and the development of the US practice of "defense by reason of insanity." You never know what you'll learn in SearchResearch! Here, in all its verses, is the entire anthem. As an elementary schoolchild, I had to learn the first and last verses. I wonder how many people know all FOUR verses.